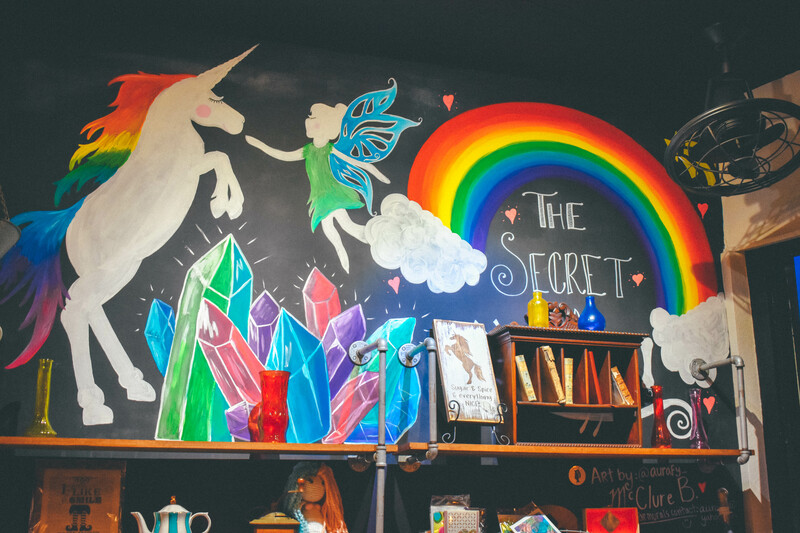 The perfect Ice Cream Parlor & Coffee shop for kids of all ages. Yes including you. 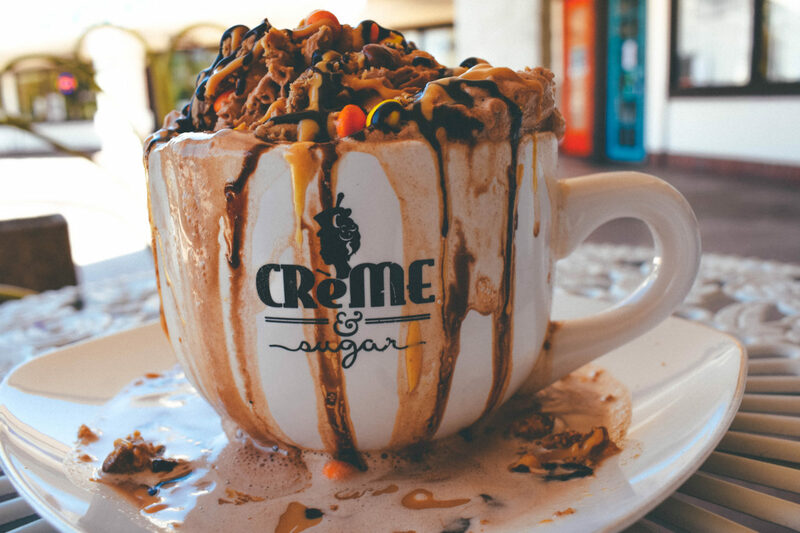 Okay so if you didn’t already know I am a HUGE sugar lover so visiting Crème’ & Sugar was like going to Willy Wonka’s Chocolate Factory. 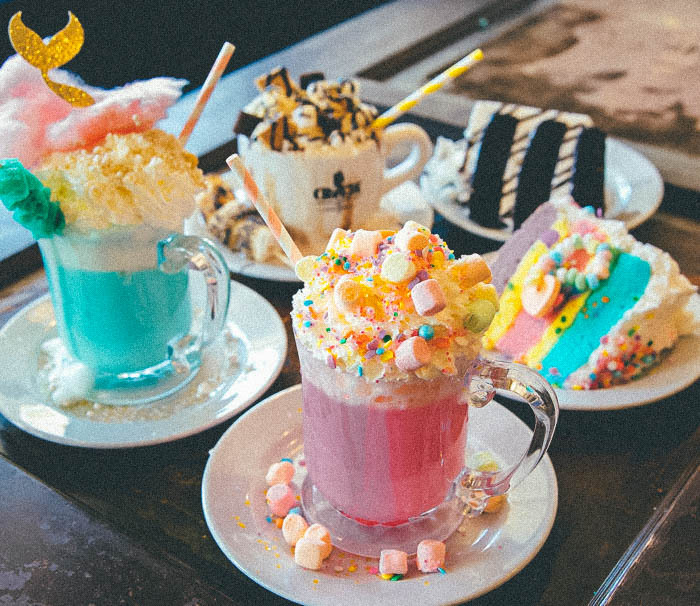 Whether you are a sugar lover or just a fan of pretty looking things you have to make a trip to Anaheim. I first came across Crème & Sugar from Instagram. I follow a lot of restaurants, coffee shops and always looking through hashtags. For example, I’ll look up hashtags like #foodie #ocfoodie #deliciousness, you know all the foodie ones. 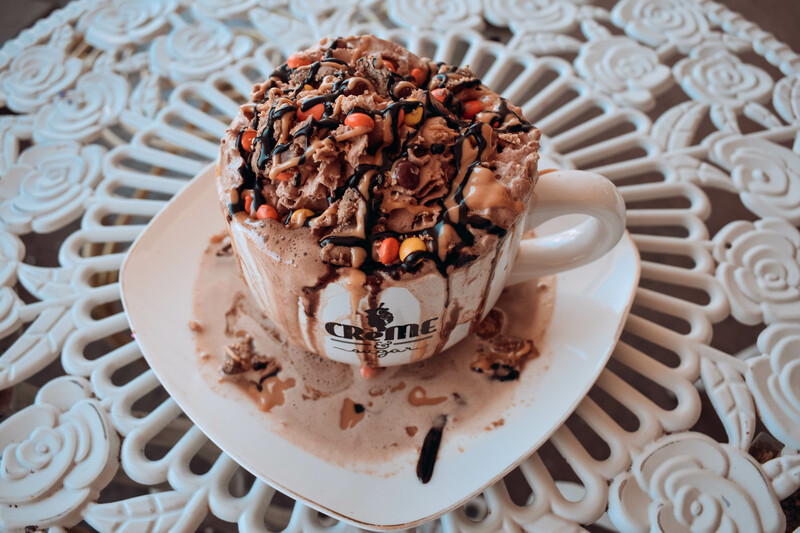 When I saw those colorful, mouth-watering posts from Crème & Sugar I literally said, “Omg I need to go here.” I was just in shock of how beautiful and delicious-looking these desserts were. I mean seriously the presentation is perfect. I knew going in I was ready for a sugar overload so I decided to take it easy this first trip. Yes…I will be going back multiple times this summer with my nieces & nephew. Can you tell I love sugar? (As I cover my face). I ended up having a Latte, an EPIC LATTE called the E.T. 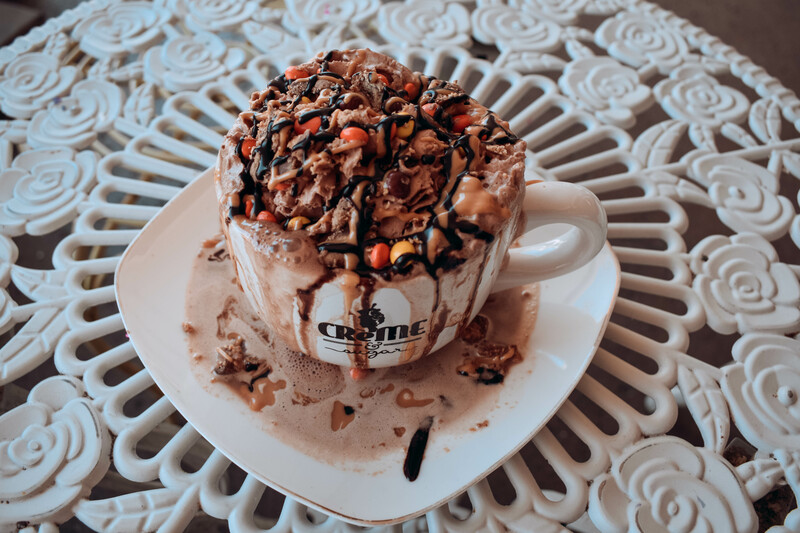 You know just your typical Chocolate Peanut Butter Latte with chocolate whipped crème, Reese’s chunks, & Reese’s Pieces. 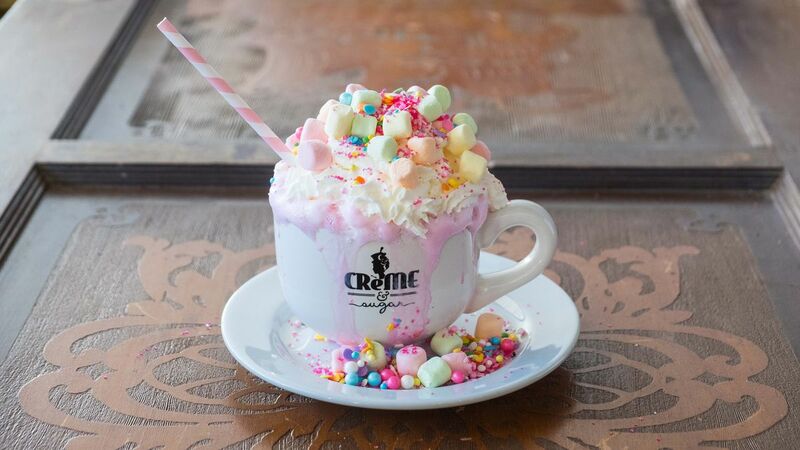 Crème & Sugar is the perfect summer treat for the entire family. Check them by following all their social media platforms! LOCATION: 6312 E. Santa Ana Canyon Rd. Have you been already? If you have let me know in the comments! Plan on going any time soon? Let me know and maybe I’ll meet you there! Previous Post BIG, BOLD, BEAUTIFUL HAIR; Thanks to Schwarzkopf! Omg Meghan!!!! I was in Heaven? How about we gone a date?? 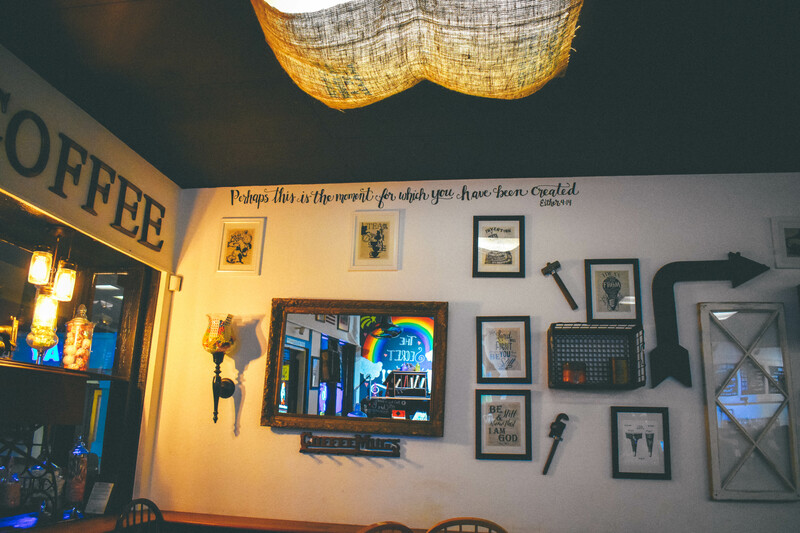 I am no ashamed to go again and again….and again.